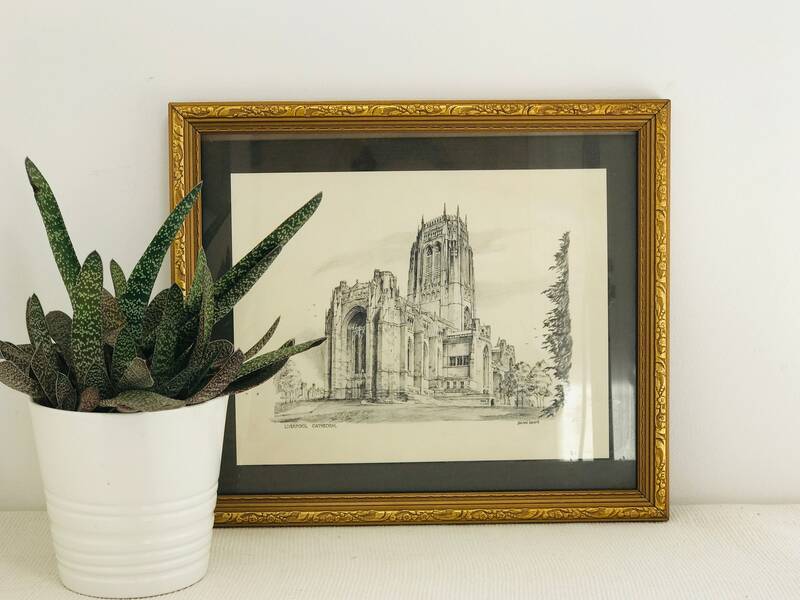 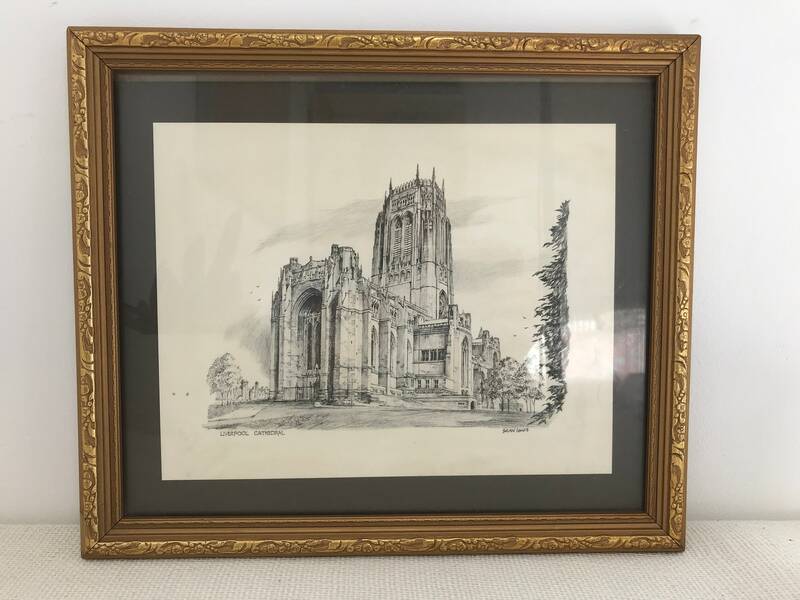 Antique GOLD ornate framed lithographic print of a sketch / pencil drawing of Liverpool Cathedral, Merseyside by artist Brian Lewis. 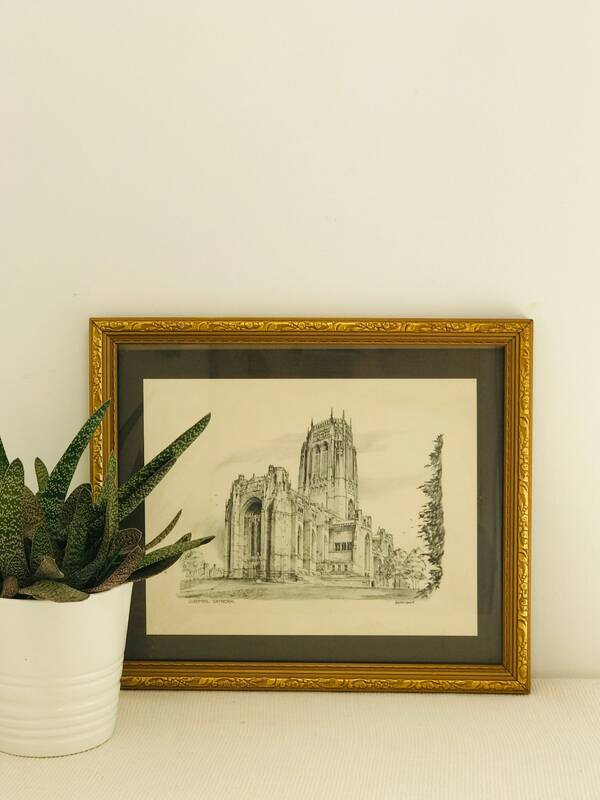 Brian Lewis is an artist, poet, and publisher who celebrated his 80th birthday, on 12 December 2016. 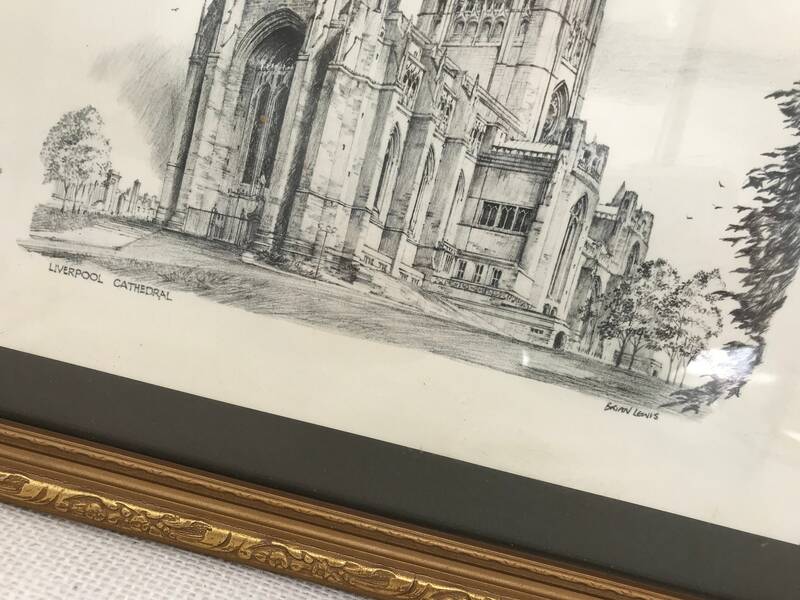 He liked to include the community and encouraged participation from others, mentoring their contributions in the most positive ways imaginable. 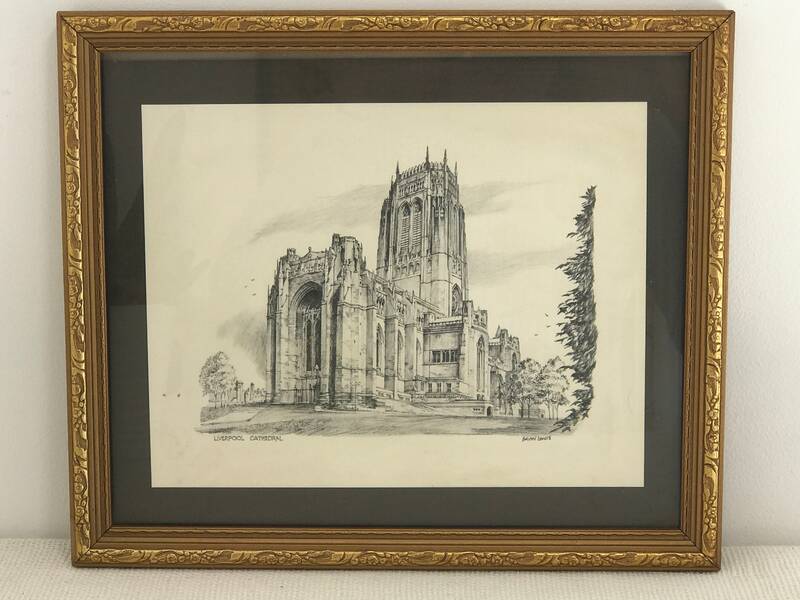 A perfect gift for lovers of Catherdrals, Churches, Liverpool, Architecture and of course Brian Lewis. 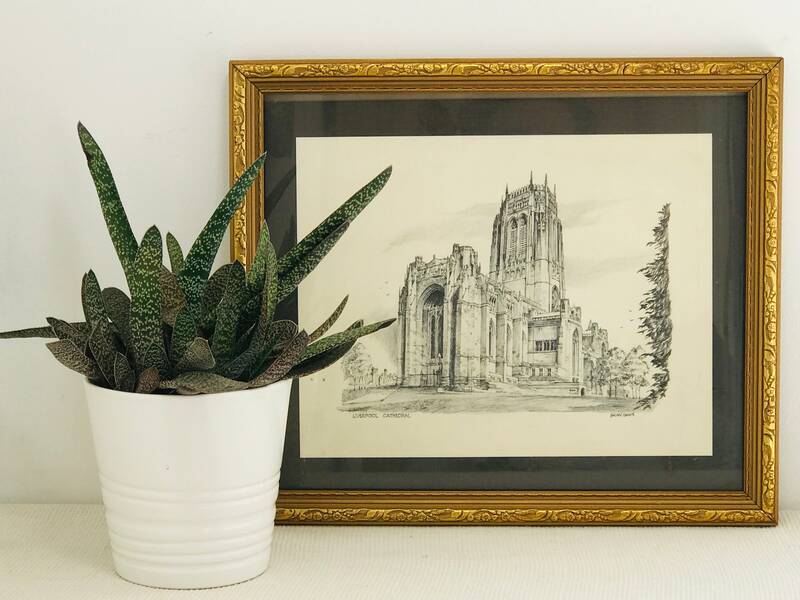 Measures approx: 10" x 12"